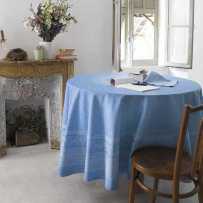 ﻿ We propose affordable and authentic table linens made in Provence ! Rectangular placemats: timeless classics! They are matched to each table collection for your compositions. 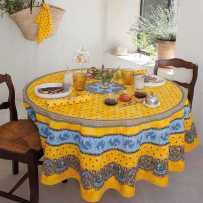 You will easily find matching patterns and tablecloths. Octogonal sets: A more original set of shapes to decorate your table and use as dining table mats. Octogonal placemats are necessarily framed. A machine washable cloth napkin is essential to match tablecloth and napkins, or to use every day. Two types of fabrics are available in our catalog: printed cotton (side of 18 inches) or Jacquard woven (20x20), in Provencal design. 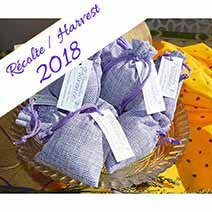 Our napkins are sold in sets of 6. 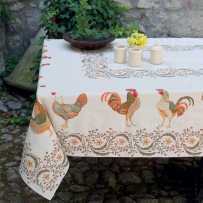 You can buy them with or independently of the tablecloths of the same collection. Same thing for placemats, of which they are also accessories. 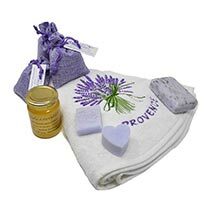 Almost all our ranges are represented here to help you compose your tablecloth and napkins set. 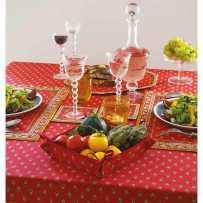 You can also enjoy buying only napkins with patterns and colors of Provence for your daily table. We have Christmas napkins, all cotton or elegant jacquard weaving. Finding napkins as table decoration for a wedding is also possible. 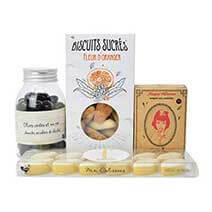 All our items are made in Provence and showcase the most beautiful traditional motifs to pass on to future generations. These table covers and table runners are proposed in different compositions according to the desired effect for your rectangular tables or small tables. 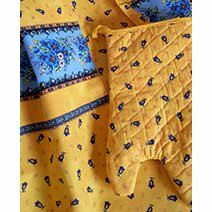 The quilted printed cotton gives a rather colorful style suitable for kitchens and outdoor, and summer moods, while jacquard woven (cotton and polyester) will bring a warmer touch, and elaborate patterns. 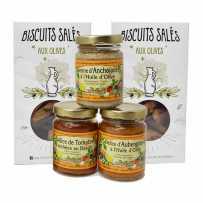 All in a French manufacturing quality and a very Provencal spirit. 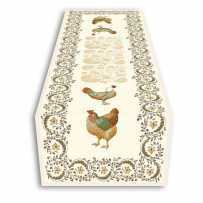 Choose among: Christmas table runners, Thanksgiving table runners and wedding table runners and much more. Chic table mat, or cotton dining mats in square or rectangular format to offer you still different patterns than our tablecloths and runners, while being perfectly matched. 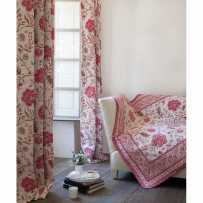 They are available in collections dedicated to decorating your furniture with refinement and Provencal elegance. 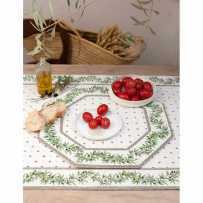 But also quilted cotton in the most beautiful prints of Provence as table mats for kitchen. 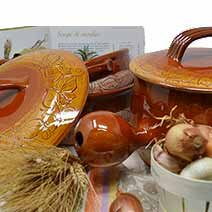 A very large choice of materials, patterns and colors that will allow you to find your “coup de coeur”. Check out the items coordinated by collection to compose your table decoration. Enjoy yourself by alternating colors and playing on the positive / negative effect of Jacquard woven, as pretty in the reverse side. 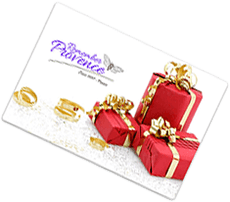 On each product page, we bring you personalized advice and ideas to guide your purchase. Our wide catalog of table linen allows many assortments, so do not hesitate to browse these pages. Printed cotton and French Jacquard are the main materials present in this purely Provencal table linen, colorful and warm, to liven up your tables. 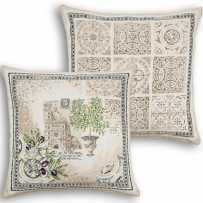 Take a look at the MARAT D'AVIGNON® collection with very "folklore" and traditional motifs: marvellous creations! The composition of the fabrics is adapted to tableware, for an elegant presentation and a minimum maintenance. 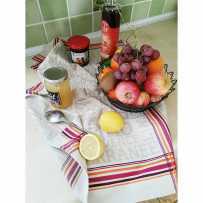 Matching table runnner and placemats, holiday tablecloths with napkins, delightful bread baskets, the choice is not missing. All shapes and most common sizes are available. Most of these items are available with TEFLON DUPONT® treatment or in coated cotton for quick, everyday cleaning in one swipe. You will choose your options as well as the numerous colors proposed by collection. We guide you in the composition of your fabric table service by indicating the accessories and coordinates for each item. You may also consult our personalized advice, or ask a question online about a product. 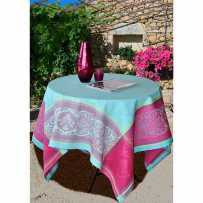 We wish you a pleasant navigation in the Provencal textile universe of affordable table linens!